Young, successful and alone...these words describe both Kate Donovan and Daniel Flannery. Kate is a successful journalist and Daniel is a successful builder. They should be happy and enjoying life, but the past keeps intruding into the present in Heart of Glass by Christy Hayes. Kate Donovan used to be known as Kat Fordham. She was spending the summer in South Carolina at the request of her sister, Julia. The intention was for her to be the unpaid nanny to her twin nieces. Kat didn't exactly fit Julia's idea of a well-bred young woman. Julia wanted Kat to hang out with people from the country club, wear the right clothes and be seen with the right people. Kat wanted to enjoy herself as much as possible and even got a job on the "wrong side of town" at a local bar. To make matters worse, she developed a friendship then a romantic relationship with one of the construction workers on Julia's new home, Daniel Flannery. Danny was definitely not Julia's idea of the right type of boyfriend. Weeks pass and Julia forces Kat into making a heartbreaking decision, she either leaves Danny or Julia will see to it that Danny gets fired from his job and never has the opportunity to succeed with his green building ideas. Kat loves Danny but sees no way to protect him from her sister so she leaves. Fast forward six years and now Kat Flannery is Kate Donovan. Kate has learned that her past was all a lie. Julia had deceived her for her entire life. Kate has broken ties with Julia and dedicates herself to her career as a journalist. Danny is now a partner in an eco-green building company and Kate has been assigned to write an article about their company. To say that sparks fly is a massive understatement. Will Kate be able to explain to Danny why she left? Will Danny be able to forgive Kate? Can they build a new relationship without trust even if there is love? 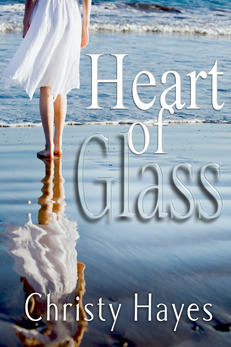 Heart of Glass is a fast-paced romantic read. Kate and Danny's relationships have their normal ups and downs. They have their misunderstandings, some small others huge, and ultimately must face an issue of trust. In this respect the story was very realistic. Julia Fordham is someone we despise for her actions and then pity because of the repercussions she suffers as a direct result of these actions. There are issues of deception, secrets, and trust at the core of this story and these are deftly woven to create a sensitive and romantic tale. If you're looking for a good romantic read, then Heart of Glass may just be the read for you.